Imagine a book that delves into color from 26 different vantage points! Imagine a book that is filled with eye-catching, luscious photos and information that helps you use color to enhance your life. Imagine a one of a kind book on color you can gift to others to support your friends and family in their lives. Imagine having a comprehensive, helpful, information packed book on color on your own bookshelf! Simply Color for Everyday Living is that book. 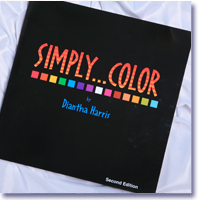 In her follow up companion book to her first, Simply Color (Second Edition), Diantha Harris has created a unique book that will teach you how to use color in many ways, from interior décor to the car you drive and many ways in between. You will have at your fingertips a chart covering the 7 colors of the rainbow and how they interact with you life. You will learn how to use color in your meal preparation according to which colors you need. Over 100 photos from 7 professional photographers and many amateurs. A comprehensive chart on color that describes the characteristics and nature of the 7 rainbow colors. A feast for the eyes in the layout, graphics, and visual effects placed throughout. 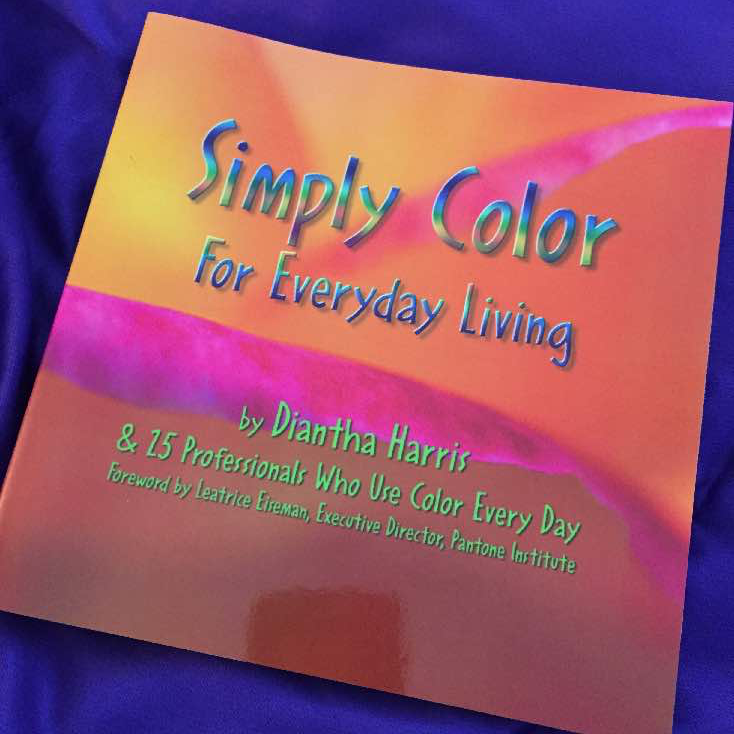 25 contributors along with author, Diantha Harris, who bring their expertise on color to the public for the first time in a comprehensive volume on color. An understanding of how color can enhance, empower and support your goals in life. The individual personalities of each of the 7 rainbow colors and more. 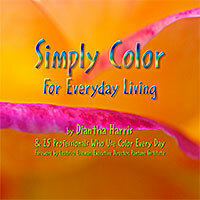 Diantha Harris, color expert, teacher and author, once again writes about color in her informative and engaging way. Joining her are 25 professionals including artists, photographers, landscapers, chefs, healers, spiritual leaders, writers, real estate professionals, feng shui practitioners, color experts and more. Contact one of the contributors or order below. The book is currently available only from the authors. Please contact Diantha at lifepnet@aol.com for information on bulk orders for resale. If you are a bookstore, be assured no shopper will be able to obtain a copy of the book from any online source except the authors. Order 5 or more books and receive a 10% discount plus a Rainbow Spray absolutely free! Deceptively simple, Simply…Color offers a wealth of information on the qualities of color, healing with color, and using color and its vibrational relatives — gems, music, scents, foods, etc., in your life. This edition adds chapters on signatures of plants; colors in home, clothing, and food; more color photos; and updated information of everything you love about Diantha’s ability to give ready access to a topic she lives. Easily accessible and understandable, thanks to the writing style and many charts and illustrations. Includes a great book list and resource section! You’ll want to read this book for the pleasure of learning from a sensitive color expert and teacher. And there’s no doubt you’ll then add it your library as a treasured resource. It’s a great gift to yourself, or for others! Read the review given to Simply Color by the Interior Alignment Newsletter! Written as a fundraiser for Big Brothers Big Sisters, Sad Sandwichesdescribes an outing between a Big Brother and his Little Brother. Thank you so much for your interest. If you are a bookstore, teacher or practitioner and wish to order multiple copies of the book, I am happy to oblige. Please contact me with the number of copies desired and a copy of your business license and tax number. Pricing will be discounted according to the number of copies desired. Blessings to you.